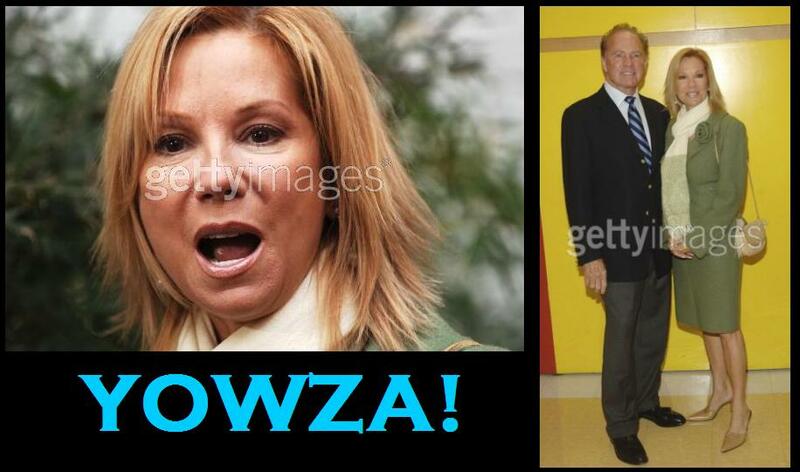 Do you ever wonder what happened to Kathy Lee Gifford? If you’re like me and have lost sleep at night wondering what happened to her, you’re in luck! Kathy Lee has been very VERY busy. She’s been blowing bubbles, helping other people blow bubbles, and…er…that’s about it. It looks like she’s finally catching up with good old Frank (age-wise). It is odd to see her actually helping people blow bubbles. I figured that she’d have some kids in a third world country behind the scenes blowing bubbles for her. Oh that’s right, I reverted back to 1992. What? I wasn’t old enough to blog back then when the actual Kathy Lee scandals were taking place. I don’t even think there were blogs back then. Anyway, the whole Gifford family were celebrating the 10th Anniversary of Cassidy’s Place. What in the hell ever happened to Cody and Cassidy anyway? Perhaps they’re sewing labels into Kathy Lee’s clothes? What Did Kathy Lee Blow?!? !